Hi everyone! I feel like it’s been a minute since I posted something, my apologies! I’ve been volunteering of course, raising money, sick (I’m better now-I need to slow down! ), welcoming new additions to the family, celebrating birthdays, and more volunteering! Now back to it…here’s an upcoming event that I signed up for. The main focus is gathering ideas on how to better attract people to visiting this awesome city of Cleveland. Seeing as how active I get around town with volunteering/events, I hope to provide some good dialogue and soak up good ideas! I know there are a lot of you who don’t know all that Cleveland has to offer and this is a great opportunity to gain some insight as well as network for the future. Cleveland is the home of world-class art, culture and rock and roll. It’s a mix of sophistication and grit, artistry and industry, healthcare and sports. But did you know that only 34 percent of those who live here would recommend Cleveland as a place to visit? Join us at our first-ever Young Professional CLE Ambassador Summit to share what you think would help encourage more local residents to recommend Cleveland as a visitor destination. 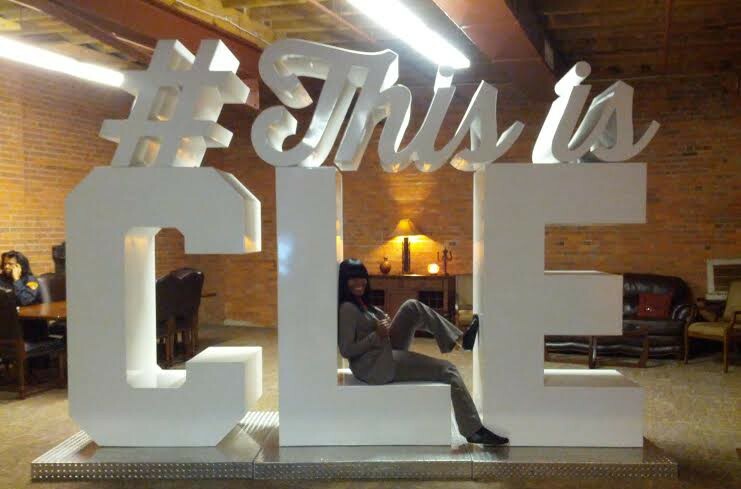 Network, brainstorm and bring your ideas to life with other millennial Clevelanders who eat, sleep and breathe CLE and are passionate about telling the Cleveland story. We know you have strong opinions, so we need you to speak up, sign up and shine a light on what you love about our city.